Had the pleasure of attending a Chicago concert last night at the Van Wezel theater in Sarasota. Man, what a show. I followed the band since back in the 70's, then they sort of lost me somewhere around Chicago VII when the band morphed into primarily singing romantic ballads. This band still tours after over 50 years since their first concert, and with 4 of the original members. Robert Lamm, James Pankow, Walter Parazaider, and Lee Loughname still rock it hard. I was amazed by the showmanship of Pankow on trombone and the talent of Parazaider on sax, clarinet, flute. The newer guys were also awesome. And no, I didn't miss Cetera's absence. They played full bore for 2 hours and 25 minutes.......straight......no breaks! Picture a theater filled with bald heads and blue hairs being thoroughly entertained by nine dudes in their mid to late 60's! I lost count of the total songs, over 25 for sure. And lots of old ones from II to VI. I don't recall ever hearing so many classic hits at a single concert. Most artists have 5 or 6 "hits" that they ration out during the performance. Chicago could have jammed for another 90 minutes and still had great stuff left in the bag. One drum-only instrumental with the two drummers lasted about 15 minutes, and definitely ranks as one of the best I have witnessed in 45 years of concert attendance. Sounds neat! I wouldn't miss Cetera either. Terry Kath is greatly missed, however. It was 1975 when I saw The Beach Boys and Chicago in Schaefer Stadium, Foxborough, MA. At the time, the Beach Boys were the "oldies", and Chicago was "past their prime". 40+ years later, they are both going strong. Nothing like us old folks with money to keep them coming back. Seriously, it is classic music of a generation, and some bands like these (and I will add Santana) have learned to add some younger blood without losing the original content. And the old guys still have it. On the other hand, we used to love the Moody Blues, and would see them every time they came to town. But at a concert 10-12 years ago, we looked at each other and both said "this is it, they don't have it any more". I'm not normally a fan of a band doing a copy/cover of another band's work, but I must say "Wow" to that one. The best Chicago song by far IMO, and they just nailed it. Impressive. Guitar, I think built on Kath's work, a little cleaner I think, yet with all the emotion. I may not have the best ear for percussion, but the drummer sounded A+ to me. It was all downhill after the first album, though slowly at first. I like Chicago II best, by far. IMO, the first album was too much like a lot of DMB--some talented musicians making noise with their instruments with only a couple songs I like listening to. II brought it all together, and was tough to live up to. Given a choice between II and cherry picking a double album from all the rest to my tastes, I'm pretty sure I'd take II. To each their own. I have to agree with you. The professionalism of the group is first-rate. Saw them this July with the Doobie Brothers as the opening act. Both were great. 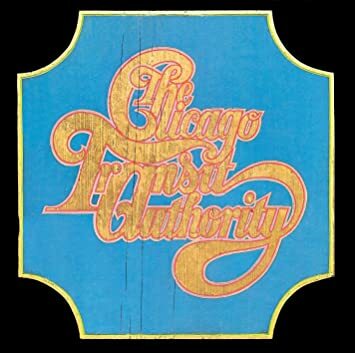 Chicago fans might enjoy this now-defunct jazz-rock band of the '60s and '70s.